The Hokkaido Storm Chaser is a 7-day guided off-piste ski road-trip that hits 6 different Hokkaido resorts. We base out of two main ski hubs--Furano in central Hokkaido and the seaside town of Otaru in southwest Hokkaido. "One of the best tours I have been on. These guys take you to the best spots, both on and off the slopes. A truly great ski and cultural experience!" Trying to get away from the crowds? This is how you do it. We went out and found the most untracked, uncrowded and unknown ski hills in Japan and put them on a platter right here, on the 8-day Frontier Explorer Trip. Staying true to our mission of incorporating cultural experiences, authentic restaurants, and trip-hosting, this is the next level trip for finding that hidden side of Japow you know exists, but can't seem to find. Introducing the most exciting new entrant to the Japow scene, the Hachimantai CAT. Hachimantai is a region of Tohoku known for getting loads of high quality powder. It also has famous hot springs, local food, and a rich history of hospitality. Much of the terrain accessed from the CAT is alpine ridges and bowls with sections of nicely spaced trees. Depending on conditions, a 5-20 minute traverse or bootpack may be needed to get the best pow. 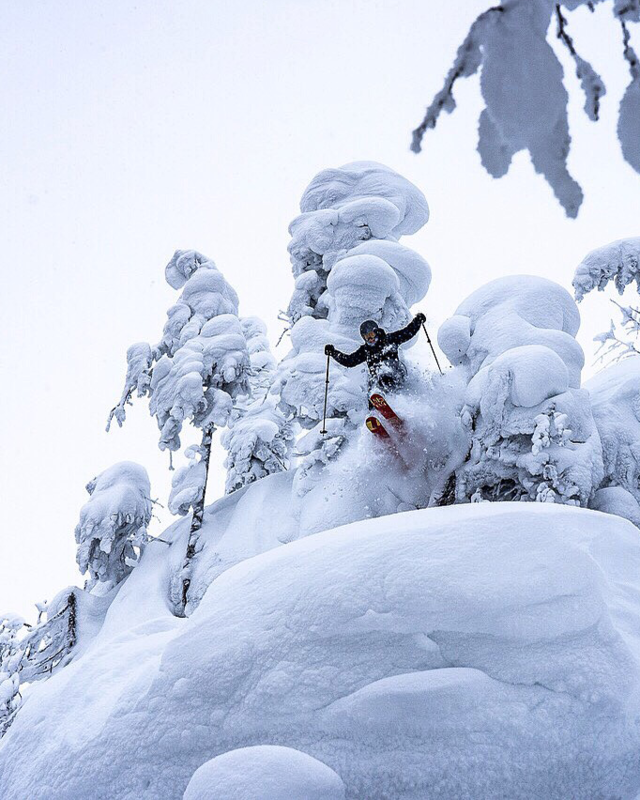 Japan Ski Tours has guided 300+ guests on epic ski road-trips over the last five seasons. All of our guided trips are aimed at strong intermediate to advanced skiers/riders. With a 1:4 guided ratio and a maximum group size of 8, our guides will take you to the best powder stashes available . While we take lifts up, we're rarely inbounds; spending about 80% of our time off-piste and the other 20% of the time riding groomers to access in and out of the sweet spots. Whether you're looking for a one week powder fix in the most famous powder region of Japan or looking to get off the beaten path and explore the hidden gems of Japow, Japan Ski Tours is just the ticket for you. ​On one of our 7-day and 8-day guided ski trips, road trip across the winter kingdom of Hokkaido or venture up to the hidden frontier of Japan's snowy Tohoku region. On each of these trips, you will literally come face to face with Japow and Japan's rich culture, all the while enjoying a mouth watering culinary experience.